Maybe the bad guys already are! They could be roaming your network and perusing your data. How do you know they’re not? Just because you don’t know how they could get in, doesn’t mean they can’t. Security experts around the globe warn that the smart criminals are out there and they’re looking for the unprepared. The truth is that network and data security has gotten so complicated, that it’s all but impossible for the average guy to keep up. InStore Technologies partners with Millennium Digital to provide professional grade, surveillance and security services – giving the retailer peace of mind. Don’t let the bad guys get in and cause you untold grief. Make sure your network and resources are being used for only what its supposed to be used for. 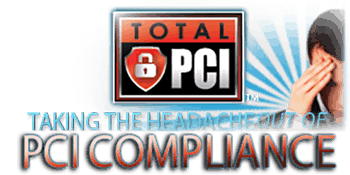 TotalPCI™ is a managed solution from Millennium Digital Technologies to assist your business in conforming to the PCI Data Security Standard. This solution will bring your network up to the industry standard and also maintain this standard through active network monitoring, monthly scans, and updates to key network devices. TotalPCI™ Solutions comes with $2 Million in coverage! Let us help you take the headache out of PCI Compliance and provide premium protection for your business. Amazon Buying Whole Foods, Now What?What about Your Labor?